They stare at us from across the ages, three smiling young women posing in a frozen second of their lifetimes. Tema Schneiderman, Lonka Kozybrodska, and Bella Chazan were in the prime of their lives. In that moment captured for posterity, they were attending a party, as so many young women do at that age. You look at their radiant faces and you can imagine them enjoying a pleasant evening, rife with anticipation as they undoubtedly draw the attention of the gallant young men you would expect were attending as well. The reality not seen in this photo though, is that these women needed to carefully maneuver, ever so delicately to reject the interest of potential suitors, as these were no ordinary men. More importantly, these were no ordinary women. While a picture may tell a thousand words, it does not – cannot – tell the whole story. You look at this photo and it tells you nothing of the valor, the heroism and the bravery hidden behind the smiles they forced themselves to present. For these women, on that night, bravely walked in the valley of the shadow of death, engaging with Evil itself. It was December of the year 1941, Tema, Lonka and Bella were three Jewish women in their early twenties, invited to the Christmas party of the Nazi Gestapo Headquarters in the then Polish city of Grodno. Disguised as Catholic Polish girls, they had more than just their identities to hide. They had to mask their fear, muster their courage, control their anxiety and overcome their contempt, so not to reveal in any way that they were not who they appeared to be. To not unwillingly expose that they were in fact members of the Jewish underground. Tema, Lonka and Bella could have been our daughters, our sisters, our friends. They were no different than any of us. As you reach your twenties, life is full of promise. It is the age when the sky is the limit. You expect to live for eternity. And they most likely wanted no more than what we all want – To experience life. To do the simple, obvious things – meet someone special, marry, raise a family. Have a career, do something you enjoy, maybe even do something special in life. Life as it does, had its own idea of what special would mean in their case. Their time in history coincided with the madness of the Second World War, which would require of them extraordinary courage. We could say inhuman courage, but these young women were very much human. Nothing in the few years that made up their lives up until then would point to how remarkable they were to become. Tema was born in Warsaw in 1917 to a non religious Jewish family though also not assimilated into Polish society. She was orphaned of her mother at a young age and had to grow up quickly and to be independent. She cared for her family, a trait that would lead her to care for others as well. She studied nursing and began to work in a hospital. Lonka was born in the town of Pruszków, near Warsaw in 1916 to a Zionist family. She studied in Polish schools and mostly socialized with Poles. 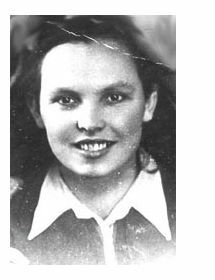 She was active in the Polish socialist youth movement and was far removed from the concerns of Jewish youth. From an early age she showed a proficiency in languages. In addition to Polish, Yiddish and Hebrew which she spoke at home, she was fluent in French, German, English, Russian and Ukrainian. Bella, the youngest of the three, was born in December 1922 in the town of Rozyszcze, in Poland at the time. She had eight siblings and her family was very religious. She was orphaned of her father when she was just 5 years old. Despite the family being poor, her mother made sure she gained an education so she would make something of her life. The women were also members of their local chapters of HeHalutz-Dror Jewish youth movement. As often happens in life, what you are looking for or believe you are doing, ends up leading to or being something all together different. The membership they originally saw as a means for socializing and, to some degree, as preparation of perhaps one day immigrating to Eretz Israel, became an important part in determining the role they were destined to fulfill. Once the war broke out, the youth movements with their elaborate network of connections, proved to be an unexpected asset for the Jewish communities in eastern Europe that were purposely isolated by the Germans. Tema, Lonka and Bella, like several other female members of the youth movement, were the natural choice to serve as the link between the communities, known as the “Couriers”(or the “Kashariyot” in Hebrew). Disguised as non-Jews, they risked their lives to move from ghetto to ghetto, travelling through treacherous territory, transporting documents, papers, money, ammunition and weapons across borders and into ghettos. By the time this photograph was taken, the women were already seasoned veterans in the shady undercover world. Bella established a safe house in Grodno and had infiltrated the Gestapo headquarters working as an interpreter. Tema and Lonka were using the house as a stopover as they traveled between locations in performance of their assigned missions. Not long after that evening, the dangers of the tragic era would inevitably catch up with them and their luck would run out. First Lonka, who in June 1942 was caught at the border crossing at Malkinia. She was interrogated as a Polish Underground woman and held in the Pawiak prison in Warsaw. When she failed to arrive at her expected destination, Bella set out to look for her. She too was captured at the same border crossing and also sent to Pawiak. Bella and Lonka never revealed their identities, never broke, never exposed secrets though tortured severely. They never broke from character either. In November 1942, they were transported to Auschwitz. Both were held at Birkenau and assigned to the same block of Polish female prisoners. Bella worked initially in the fields, while Lonka worked as an interpreter in the SS office. As happened to so many of the prisoners in the concentration camps, they both contracted typhus. While Bella recovered, Lonka’s condition worsened and she came down with mumps and dysentery as well. Bella cared for her devotedly and did everything she could to nurse her and ease her suffering. Bella carried Lonka’s body to the camp’s crematorium. Cradling her, she quietly muttered the mourner’s Kadish prayer over the body of her young friend so her beautiful soul would leave the horrors of this world as a proud Jew. Bella would survive and was liberated from the camp after enduring the death march to other camps in Germany. She lived to experience the miracle of the rebirth of the Jewish People. She saw the redemption unbelievably unfold as she came to the Land of Israel and took part in the Rebirth. Most importantly, she got to experience life. To do the simple, obvious things we all take for granted. Bella married Hayim Zaleshinsky who later changed his last name to Yaari and had two children, Esther and Yoel and eventually also five grandchildren. She never forgot her friends. And tell about them she did. Bella fulfilled Lonka’s dying wish, presenting testimonies about her experiences during the Holocaust, including her autobiography entitled, “They call me Bronislawa”, after the Aryan name she went by under her falsified identity. Bella Chazan-Yaari died in Jerusalem on January 18, 2004, at the age of 82, sixty one years after her friends Tema and Lonka. My only guess as to why this story has never become the stuff of literary or Hollywood galore is that the sheer magnitude of what they were called upon to do, what they did and the risks they endured is impossible to grapple. The extent of their heroism and daring is in fact beyond human comprehension. Especially in an age when the terms “resistance”, “defiance” and “heroic” are so cheaply bestowed upon any act of simple protest. So we must heed the lesson of the young women and do our simple duty. Ours is much simpler than what they were called upon to do. We owe it to them, to give back to Tema, Lonka and Bella, as well as to all the fighters and heroes of the Holocaust. To do what Lonka asked for and what Bella did but is no longer here to do. To tell about them. It is our duty today to tell their story so that their bravery is never forgotten and finds its rightful place in the annals of Jewish history. The story of the “Kashariyot”, real life Wonder Women. And more than anything, we owe it to them so to preserve the eternity that was in their hearts. Danny, you have honoured these three incredible young women. It would have been so easy for them to simply do nothing but they recognised their important place in history. Thank you for writing their story so beautifully. Thank you so much. I am so happy you feel I did so. That is what I hoped to do. This article was heart-wrenching and brought tears to my eyes as I read about this brave young woman and brought memories of my own mother, a 19 year-old non Jewish woman with a huge Jewish heart and a lot of ‘chutzpa getting angry at this ‘new fangeld upstart Adolph and his brown-shirts, a group of thugs going about, beating up people and going after Jews, her own friends included. She and others joined an underground movement where they started to print and distribute anti fashist flyers, getting people out, etc. She was caught after being betrayed by her best friend and room mate, arrested and interrogated for several months yet never gave away any names. Subsquently, she was sent to Ravensbrueck, outside of Berlin, afterwards to a labor camp from where the Americans liberated her. One of the soldiers became my dad. Two things stayed with me when Grandmother told her that the Jews were God’s chosen and to always remember that and that during Christmas, which the guards celebrated celebrated a Jew. She was so so sickened by that blasphemy. The night before she died she made me promise to never forget the Jews and always stand up for them and Israel which we visited shortly before her passing, overwhelmed how beautiful Israel was. She would speak to schools, churches, the media, etc. about what happened and how survivors rebuild their home land. “Am Yisrael Chai” indeed. Thank you Nancy. Your mother’s heroism is exceptional, especially considering she had a choice. All she had to do was remain silent. I don’t know if anyone of us could genuinely say that they would do the same under the circumstances she was in. She was a unique person. thank you so much for your article which made this remarkable story known outside the Hebrew speaking community. I am sure that many people are and will be grateful for this, as the story of Tema, Lonka and Bella reads almost like a fairy tale – a story of courage, survival and rebirth. Such stories help us to maintain the belief that human nature is beautiful, against all evidence. Tema, Lonka and Bella were thrown into the barbarism without having a choice, but it was their choice to resist it. What they did is truly outstanding. However, the biggest miracle for me is that at the end of all this cruelty Bella has been able to achieve a personal rebirth. She obviously succeeded to spend those 61 years without (or without too much) embitterment. She has returned to the normal pursuit of happiness, even though that normality must have been a fragile one in a country under permanent challenge. You have put that picture of normality as a background onto which you flash the main events in the heroic life of Bella and her friends. This makes their fate and sacrifice even more tragic, and one feels an acute pain for the lost live, the lost youth of so wonderful, beautiful and intelligent girls. I met Bella once, in 1986, in her house in Tel Aviv. I happened to see a 64 years old warm and very generous person who spontaneously awarded me, a stranger from Germany, with a beautiful big shell, right from a glass cabinet where she must have kept this rare piece for quite a time. I took this gift as an expression of sympathy and intensive personal attentiveness not just to me but to Life as such, the kindness of an unexpectedly resonant encounter. Yes, it is our duty, our pain and our pleasure to remember what our ancestors did or what was done to them. I will now send this wonderful story to my friends in Germany, Poland, Russia, United States and Australia who, like myself, have their own roots in that bloody Eastern Poland where, more than anywhere else in the world, normal people had to pay the price for the madness of the 20th century. Thanks to you and Bella’s son Yoel Yaari, we can now look at these precious photos and remember forever Tema Schneiderman, Lonka Kozybrodska, and Bella Chazan. Thank you Rosemarie for reading and more importantly for taking the time to write your most beautiful comment. I am truly happy what I wrote resonates with you as it did. As you can imagine, I felt a huge responsibility when writing this to do them justice and to celebrate who they were and the lives they lived, even if cut short for Tema and Lonka. I am beyond words with excitement that you actually met Bella. You add another dimension to the story I told. Again, thank you for your comment.